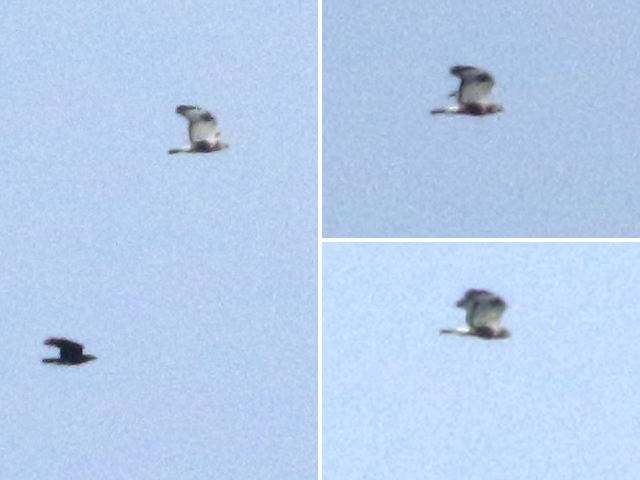 Today we were rescued from writing a blog much the same as we have for most of the autumn by a wandering Rough-legged Buzzard that graced our shores (albeit briefly) this morning, before it shot off towards the Purbecks. 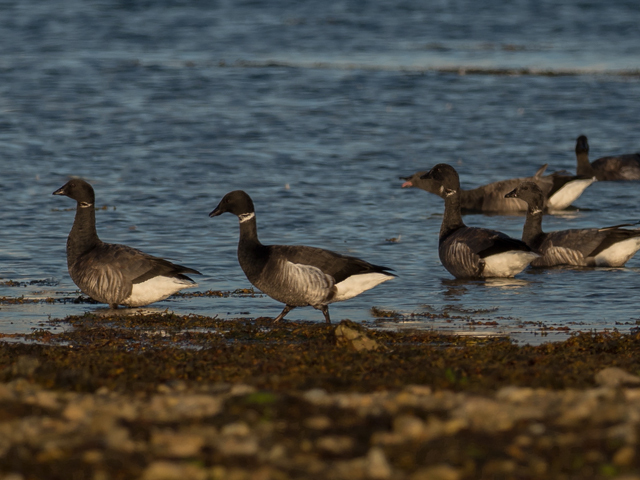 A Black Brant, a Pale-bellied Brent Goose and a Long-tailed Duck at Ferrybridge, 3 Goosanders and a Common Scoter in Portland Harbour and 2 Ring Ouzels at Kingbarrow Quarry added some variety to the mix on an otherwise distinctly average day. There was also belated news of a Tawny Owl in Wakeham from the previous night. 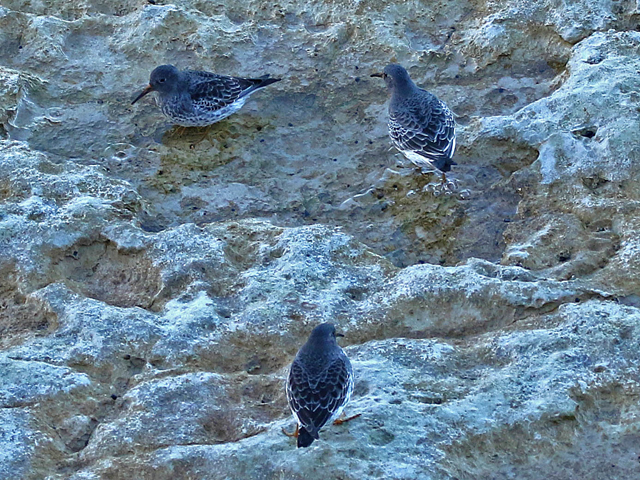 In terms of common migrants, we were thin on the ground once again with the exceptions of a good passage of Auks and Mediterranean Gulls at sea, 4 Purple Sandpipers around the Bill and a miniscule influx of Goldcrests.